Accident—Insurance– Passenger travelling in a private passenger car and pillion rider on two wheeler is entitled to compensation in case of injury or death arising out of accident involving no other vehicle. Accident—Insurance—Concept of Gratuitous passengers is not applicable to private passenger of a car/two wheeler. Accident—Insurance–IRDA can not issue any direction which makes the prescribed Compulsory Insurance an optional Insurance by giving option to the owner whether to purchase it or not by paying extra premium. 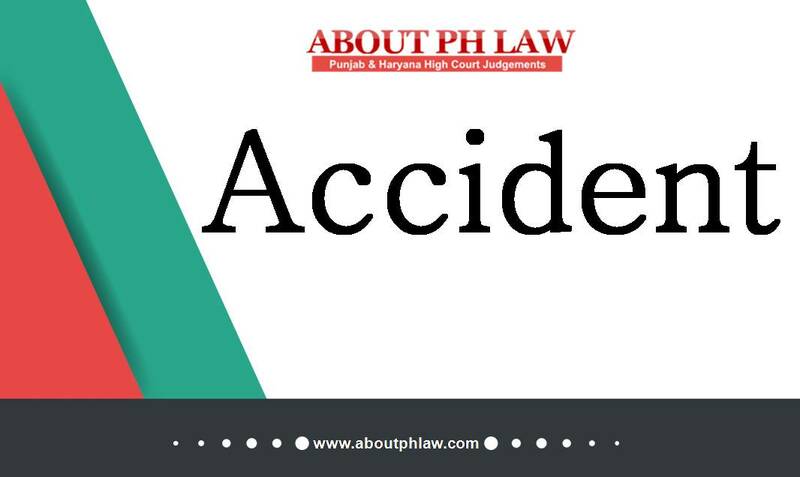 Comments Off on Accident—Insurance– Passenger travelling in a private passenger car and pillion rider on two wheeler is entitled to compensation in case of injury or death arising out of accident involving no other vehicle. Accident—Insurance—Concept of Gratuitous passengers is not applicable to private passenger of a car/two wheeler. Accident—Insurance–IRDA can not issue any direction which makes the prescribed Compulsory Insurance an optional Insurance by giving option to the owner whether to purchase it or not by paying extra premium. Accident—Liability to pay compensation, other than the driver of the vehicle,would fall upon the real owner of the vehicle, whether or not he was the registered owner thereof. Comments Off on Accident—Liability to pay compensation, other than the driver of the vehicle,would fall upon the real owner of the vehicle, whether or not he was the registered owner thereof.